If your goal is to improve your visitor experience and increase conversion rates, then you will know that the less effort a visitor has to make to reach the information they are looking for, the more likely they are to convert. Having a visitor fill in a form distracts away from the ultimate goal of having them convert. 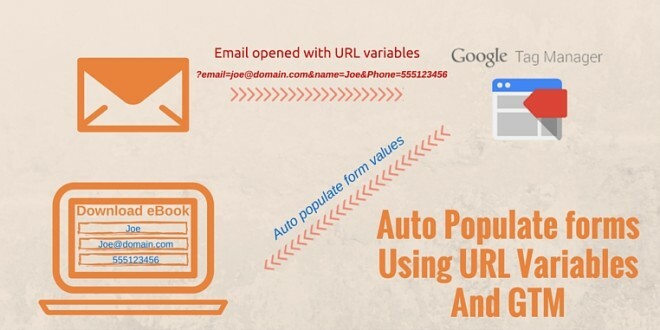 One step closer to this goal is to help your customers and populate form fields from URL variables sent in email campaigns. This means your visitors are only one click away from the information they and more likely to convert. If you’re already tracking visitor activity using URL or Form variables in Woopra, this will also help in joining your visitor data when an email is clicked across different devices. For this example we’re going to take a simple form with a Name, Email and Phone Number, which will auto populate based on a link click from a Mailchimp email to produce what we call a ‘one click form’. To ensure that our URL variables are passed to the correct fields, we need to first ensure that ID’s are set on each form field which needs to be passed. In this case we are using the Name, Email and Phone Number fields, so we will set our field ID’s to correspond correctly to these fields. You can tailor this example for your own form fields/variables. 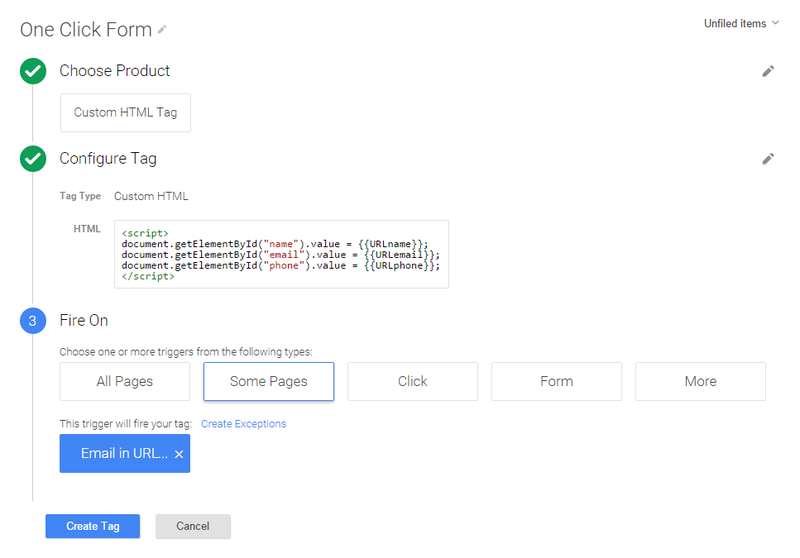 For the one click form to work, it requires that your visitors are on your mailing list in which you can pass query variables in emails you send. This is possible in email systems such as Mailchimp through the use of merge fields. For Example: A subscriber clicks a merge link in an email. You want to have all of these 3 fields sent to Woopra to identify that customer for future visits. If you’re using Woopra, you can take this data one step further and start tracking your visitors cross-device as they open your email campaigns through the same URL variables we’ve just created. To do this, simply update the tag code to include the Woopra Identify tracking information. The final step is to test out the work you’ve just done by passing a fake variable to see if your form fields auto populate. If everything is working, you should see your form fields populated with the name, email and phone from the example URL above. 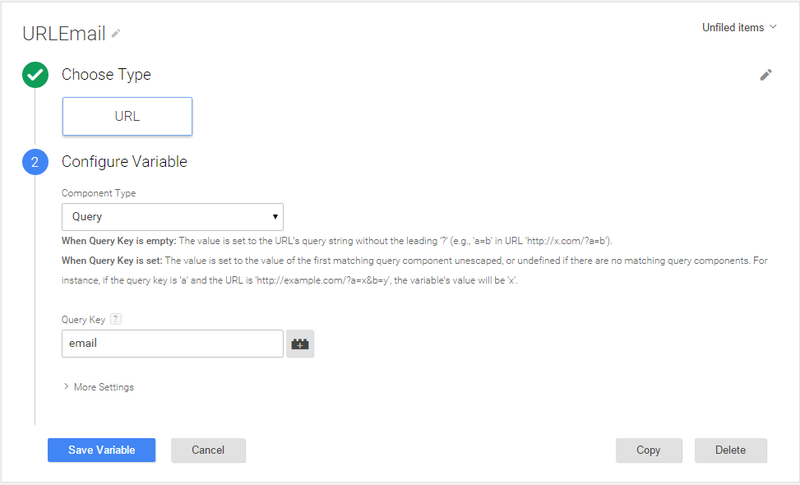 If it’s not working, ensure you’ve published your GTM container and you’ve typed in your URL correct. Hope you’ve enjoyed reading – please post any questions or comments you might have below :).